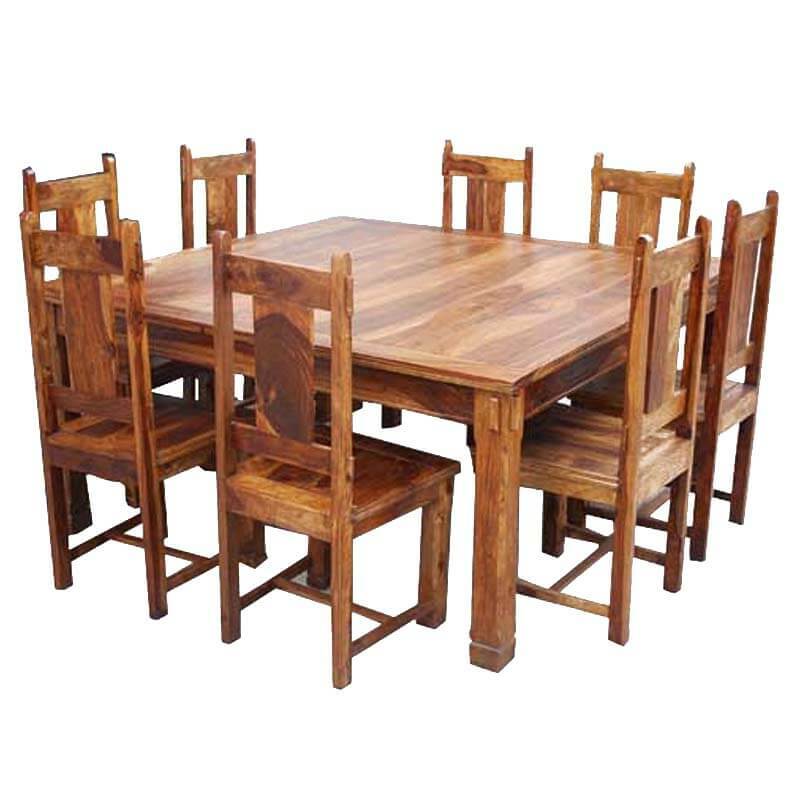 Adorn your dining space with this marvelous Richmond Rustic Solid Wood Large Square Dining Room Table Chair Set. 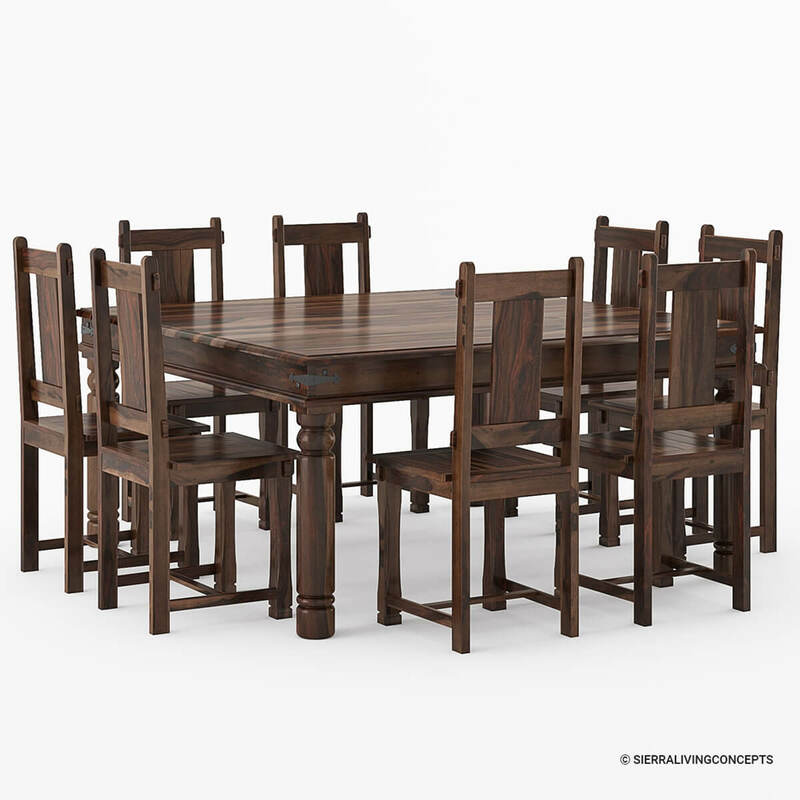 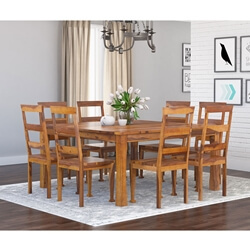 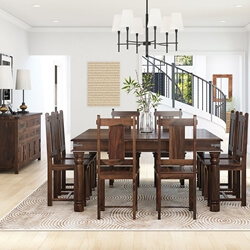 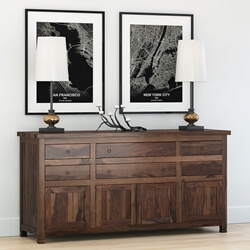 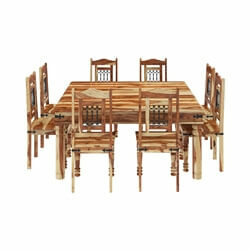 This rustic dining set is crafted using Solid Wood, a high-quality hardwood that ensures strength and durability. 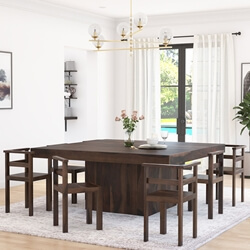 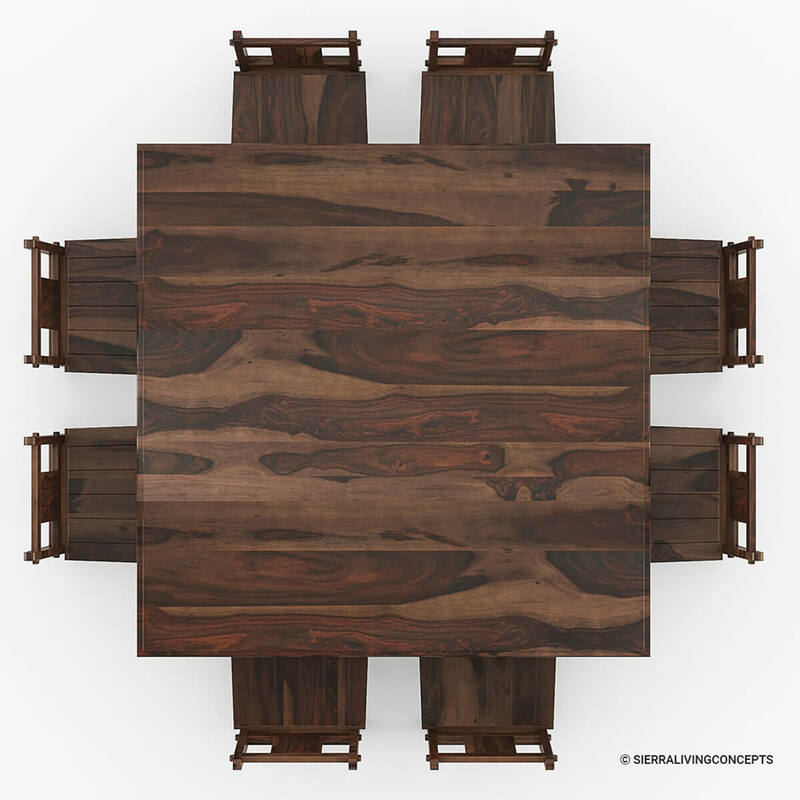 Natural grain variation of Solid Wood on square table top adds to the rustic beauty of this dining table. 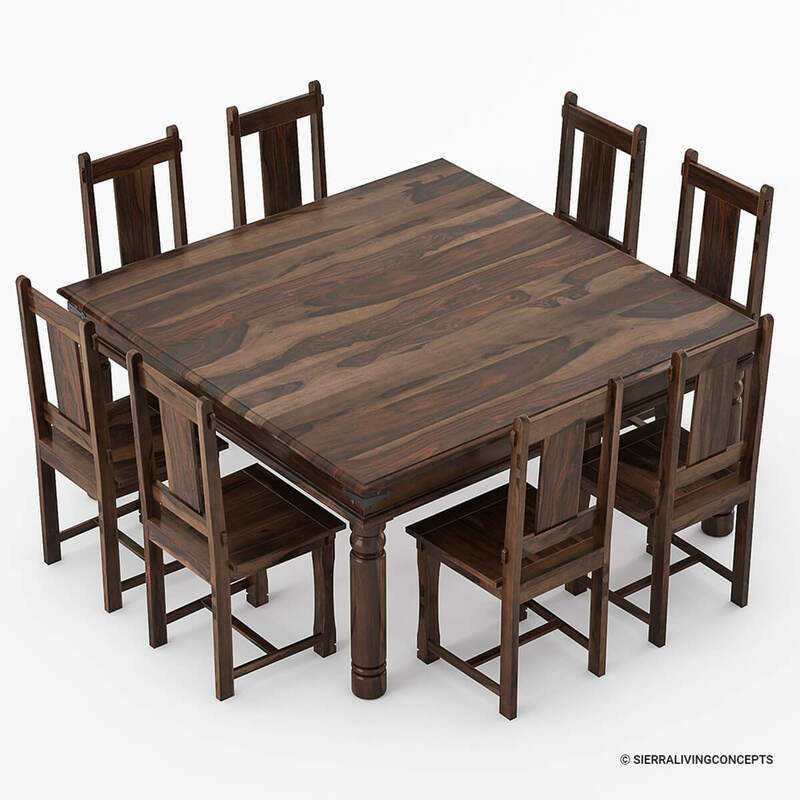 This large square dining table features decorative wrought iron corner brackets. 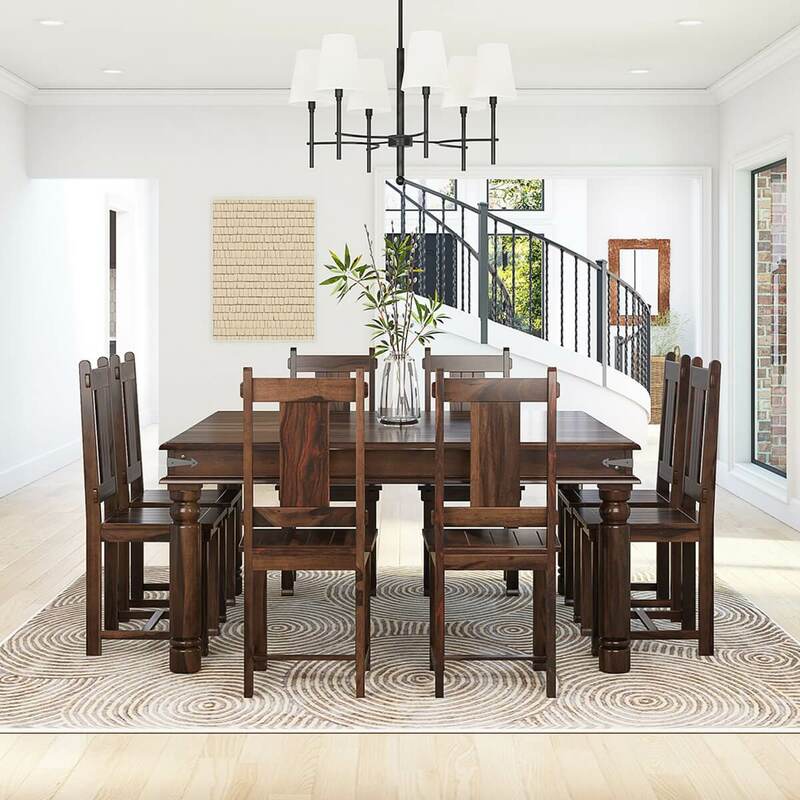 Dining table legs are crafted in classic column design setting this dining table a class apart. 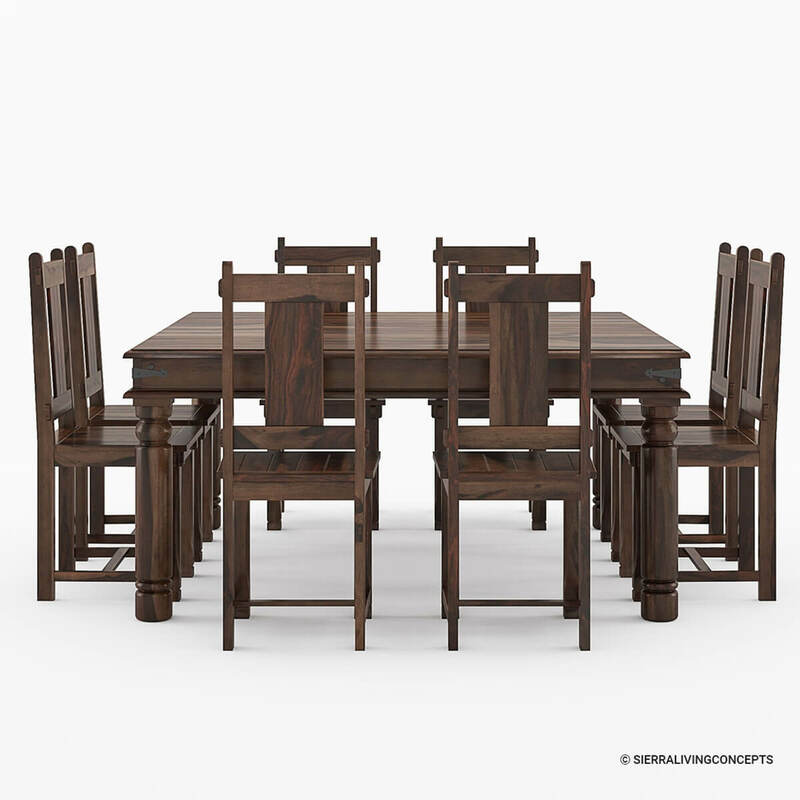 The rustic dining set includes eight school back chairs with H-stretchers for extra stability. 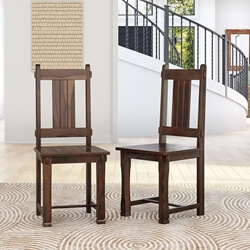 The backrest of chairs is slightly slanted to ensure a comfortable seating experience.